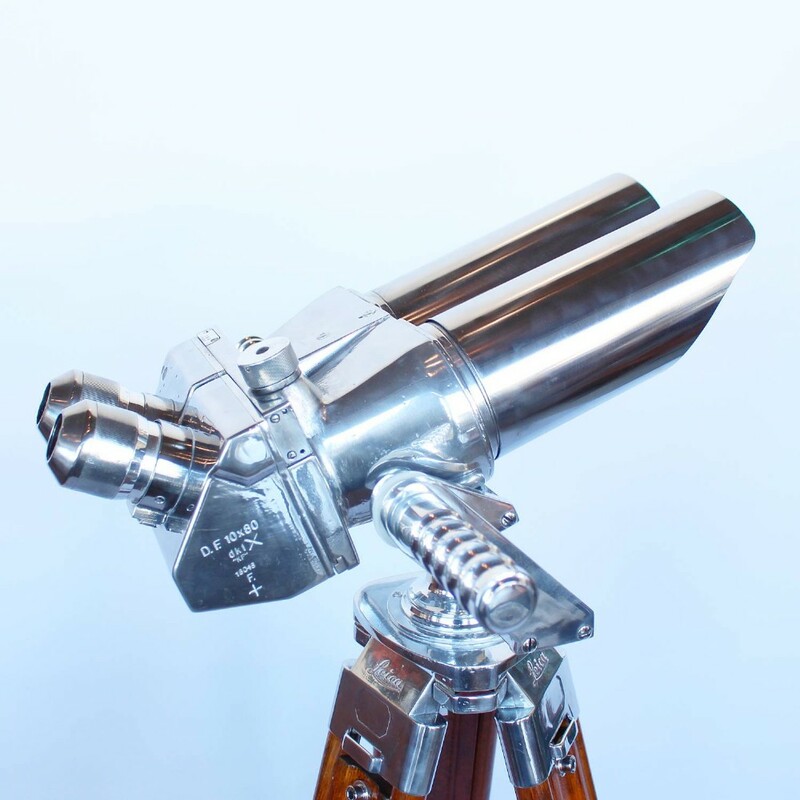 A pair of 10 X 80 binoculars with eyeglasses set at 45 degrees, attributed to Zeiss. 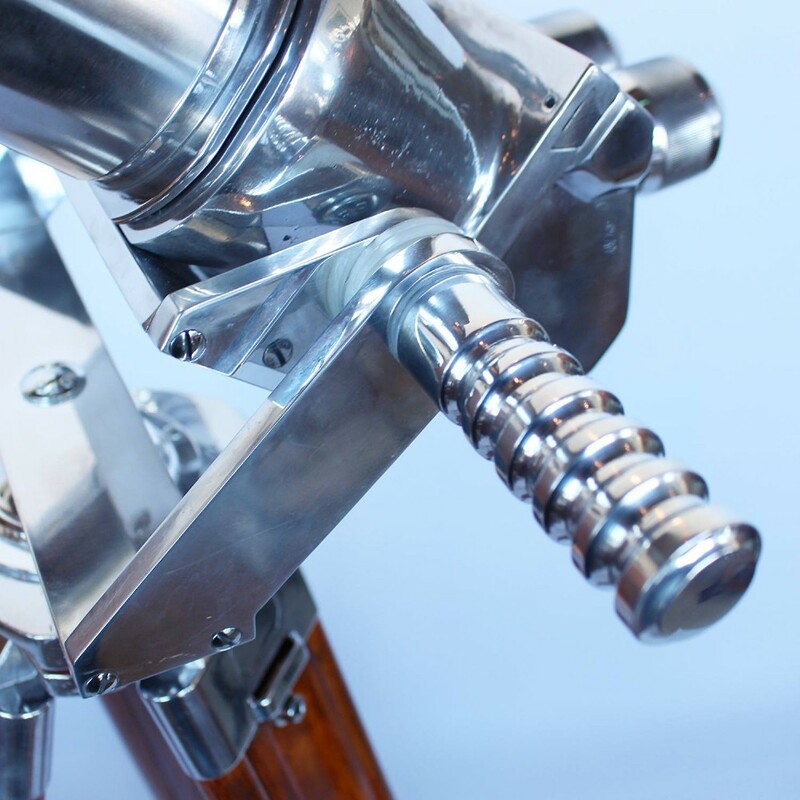 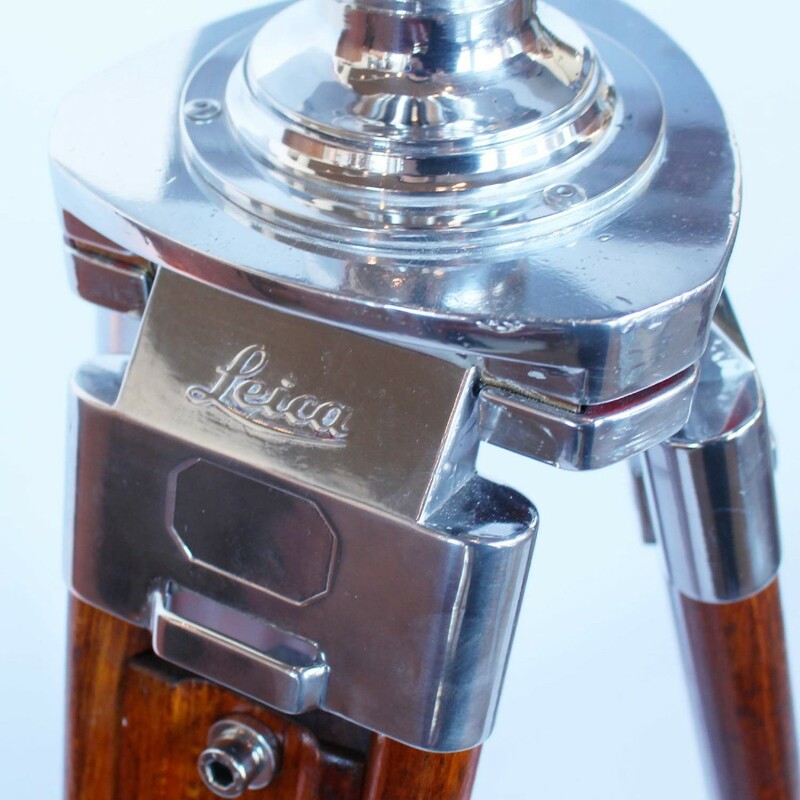 Set on period, extending oak and metal Leica stand with chromed, conical feet. 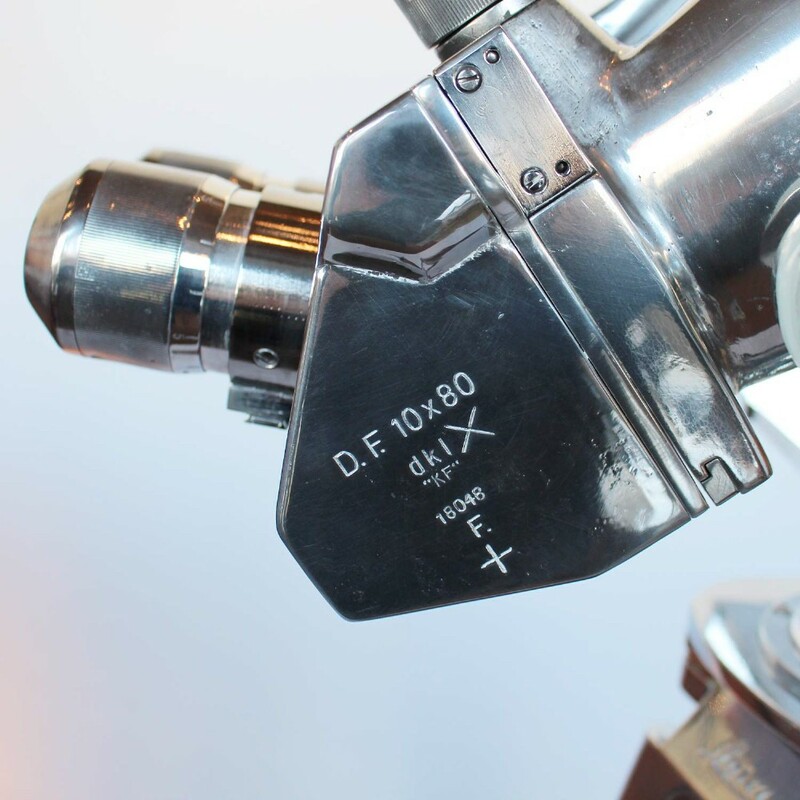 10 times magnification with 80mm objective lens. 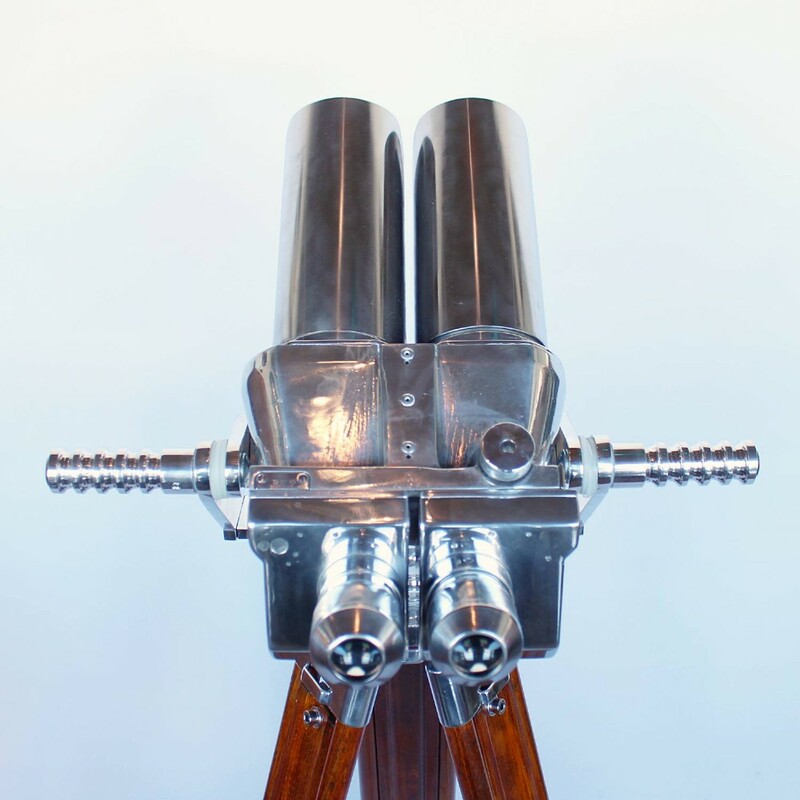 Paint stripped and metal polished. 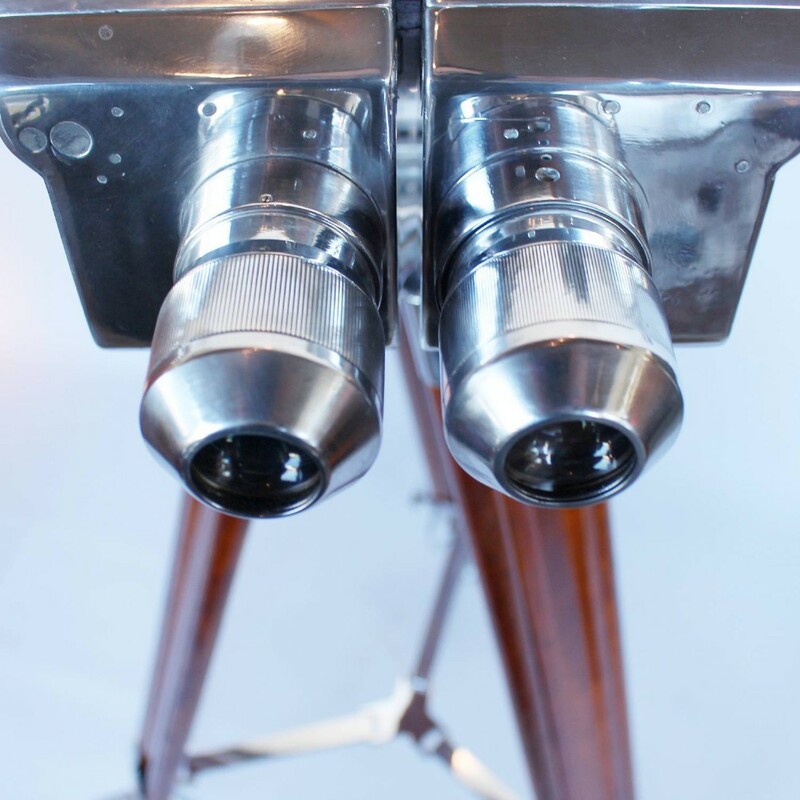 Fully refurbished optics. 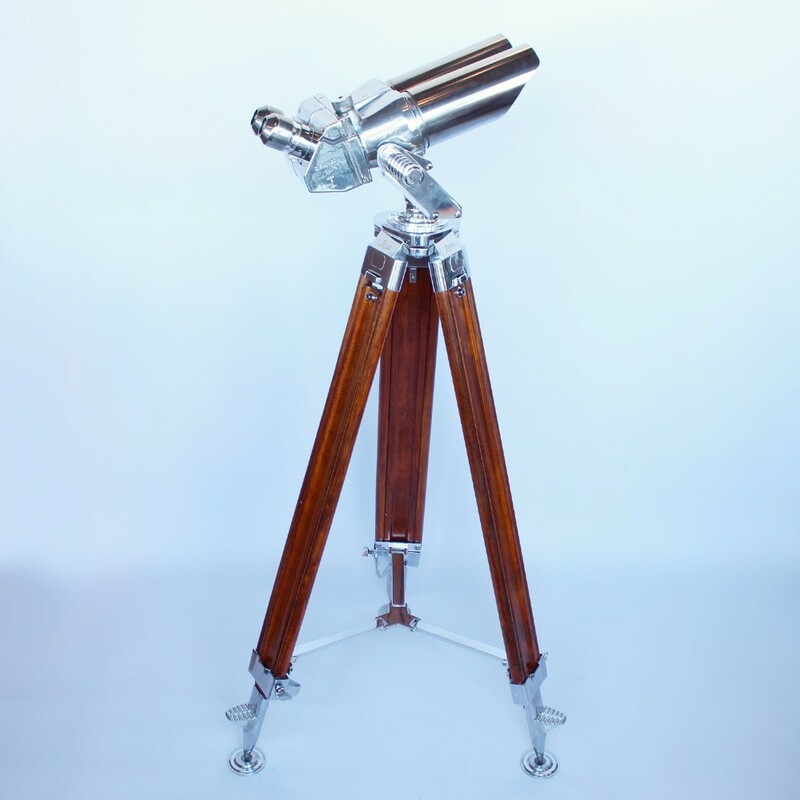 Dimensions: H. with stand: 1m - 1.5m, barrel L. 21cm, total L. 42.5cm, W. 47cm. 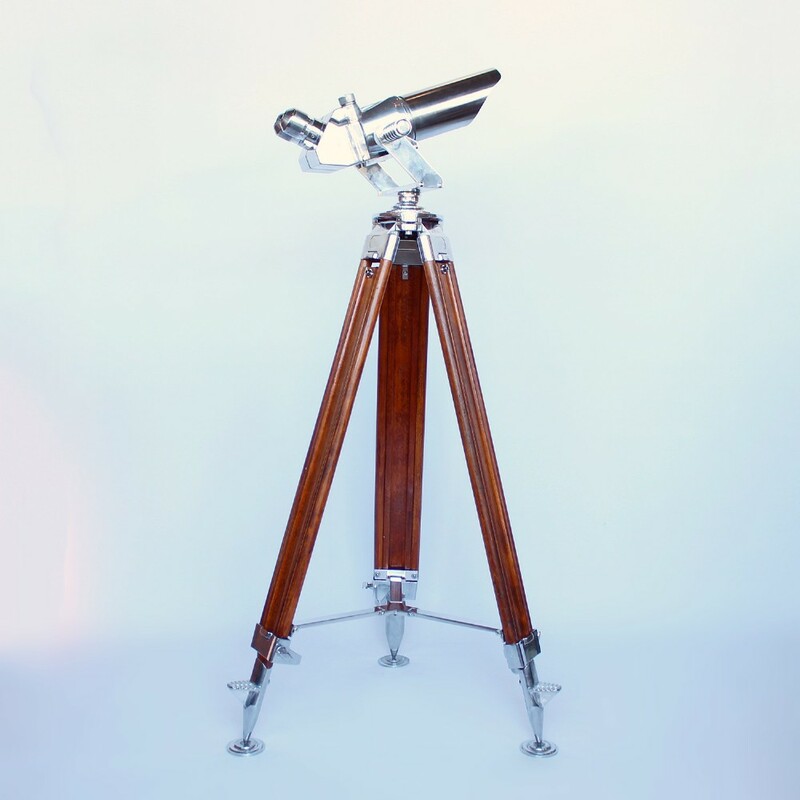 The Art Deco 10X80 Binoculars circa 1940 has been added to your saved items.